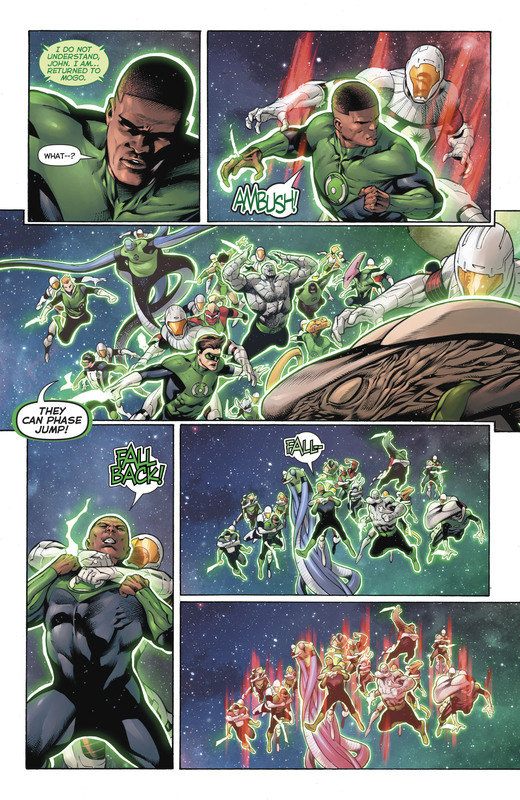 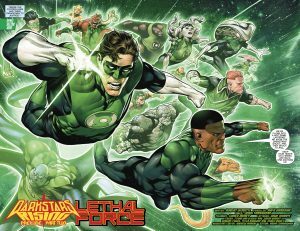 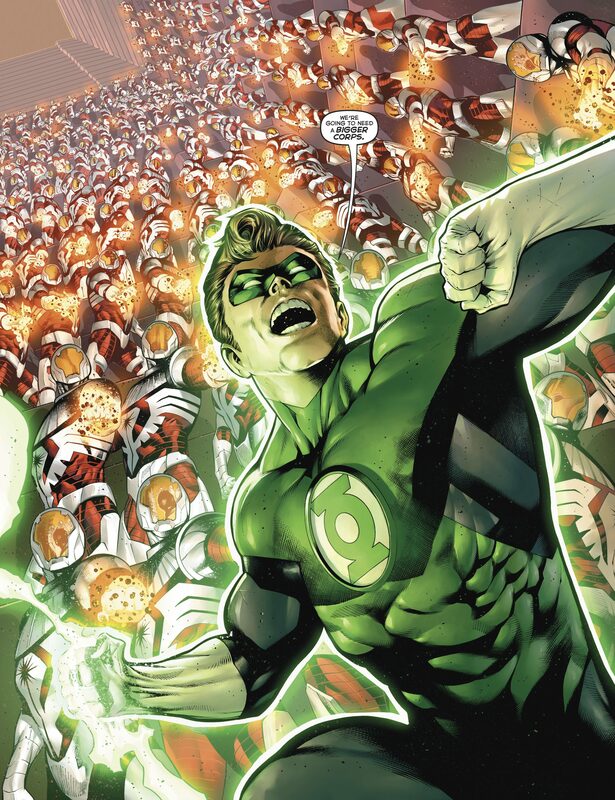 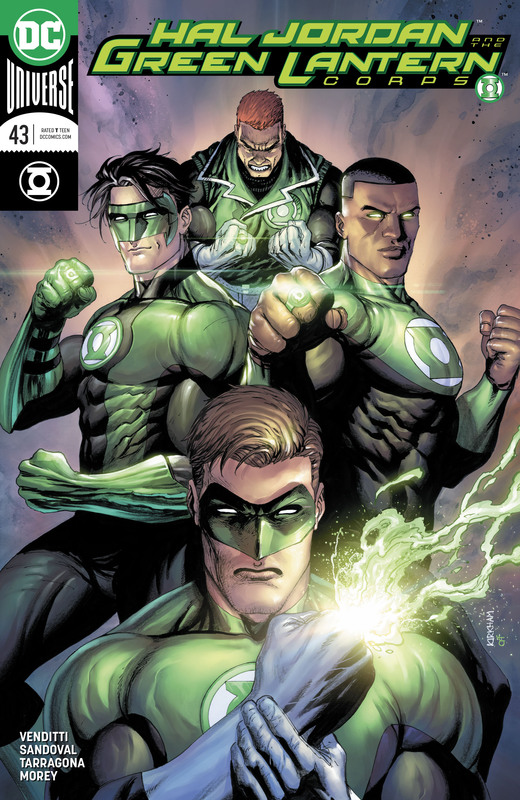 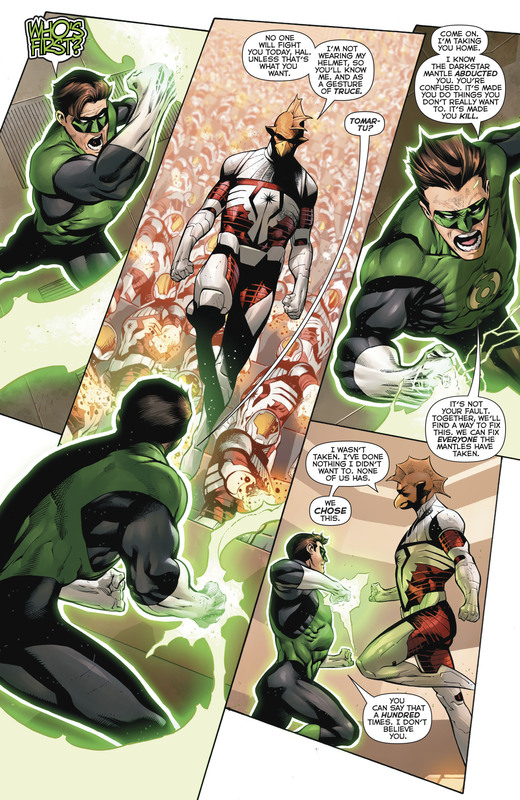 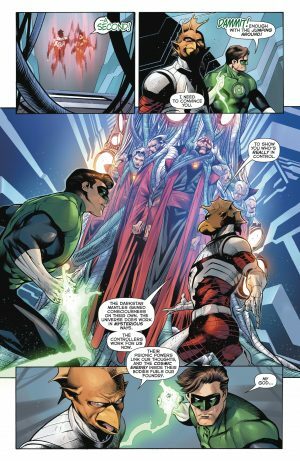 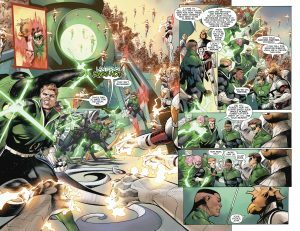 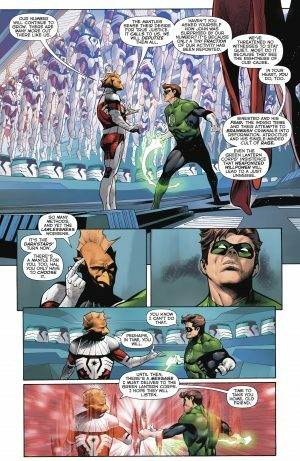 DC Comics Universe and Hal Jordan and The Green Lantern Corps #43 Spoilers follows. 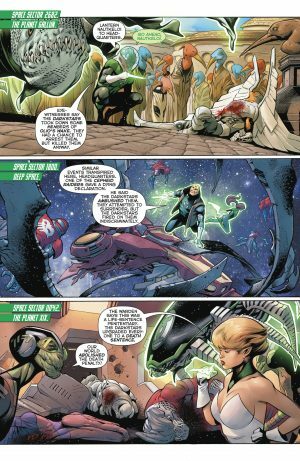 The Darkstars Defeat and Replace The GLC? 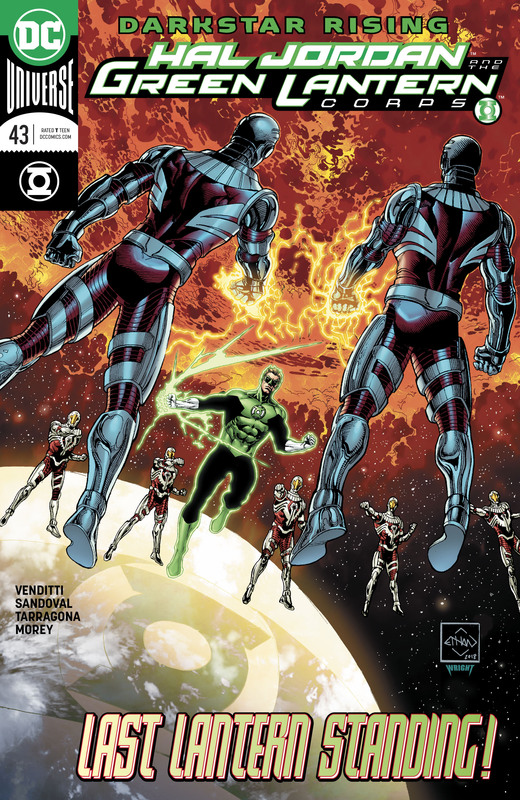 The Darkstars leave a trail of bodies living their brand of lethal justice for criminals. The Guardians of the Galaxy order the GLC to find the Darkstars and their Controllers and bring them to justice. …teleport Hal Jordan elsewhere to show him the scope of the Darkstars power. Tomar-Tu explains that the Darkstar mantles work like the Green Lantern rings and pick their hosts. He also reveals that the Controllers are not in control of the Darkstars. 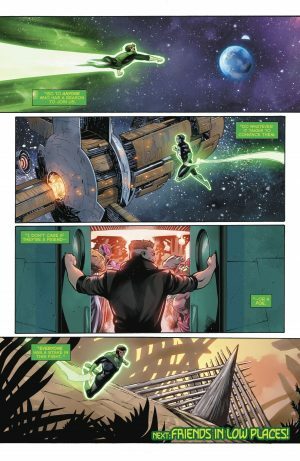 Hal Jordan does not accept a Darkstar mantle. 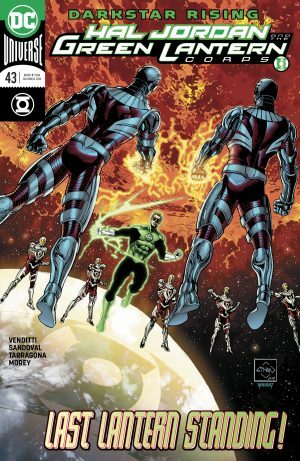 …defeat the Darkstars! Look for villains and heroes to fight side by the side as this series marches to issue #50.